Description: This soft cover book has 134 pages of history on families in Smith’s Cove, Digby County, Nova Scotia. Cream background with the graphics of a Blue Noser, a ship and a map of Nova Scotia. In script font, the words "Greetings from the land of the" entwines between these two graphics. 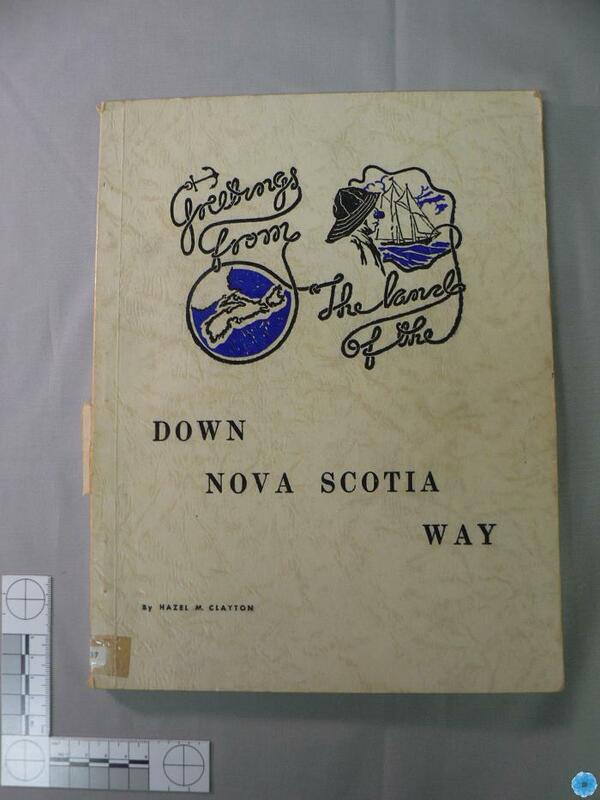 Below, the title reads "Down Nova Scotia Way by Hazel M. Clayton" in block capslock letters.